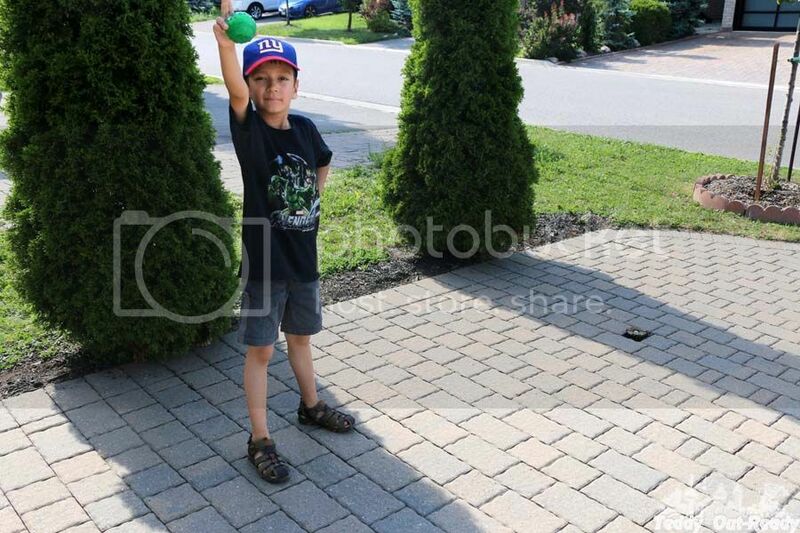 Kids love playing with ball and sometimes it is hard to convince them to switch to another activity. 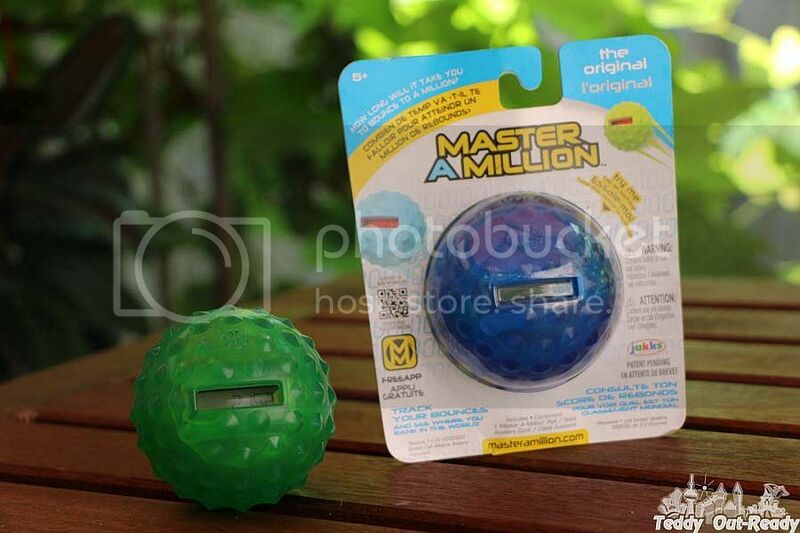 Now when summer is in full swing and vacation is wanted to last forever, children get an opportunity to count their ball bounces with new JAKKS Pacific toy called Master A Million. The toy comes as a regular ball but has special slot where you can track your bounces. To make it work, the ball needs to be set by opening special compartment using a coin and taking it off trial mode by pressing red button for 5 secs. Master A Million also includes free app you can find on Google Play or Apple store. This app allows you to track the bounces and compare your achievements with other ball bouncers. 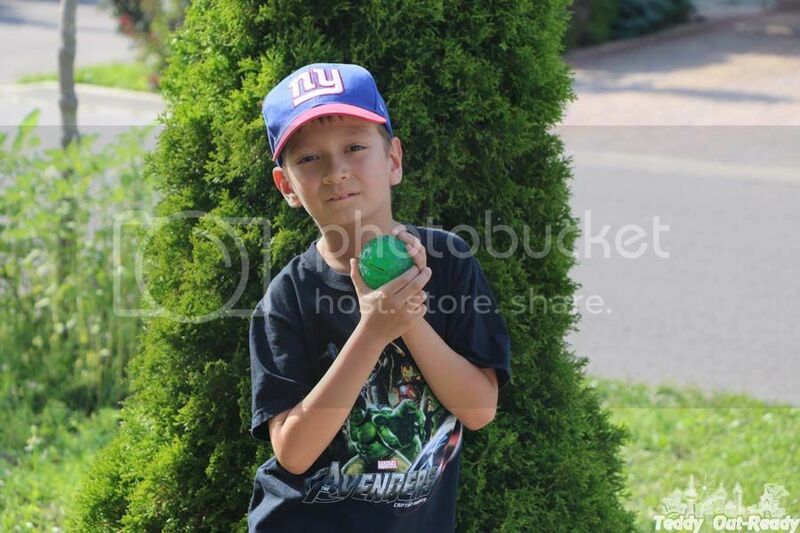 Designed for kids ages five and up, this ball requires CR2032 batteries (included in the set). The idea of achieving to One Million bounces is really fun but not the easiest goal to reach. Playing with be ball make you quite addictive because there are many milestones to reach before the player gets finally a million bounces. Teddy likes the idea of getting to million bounces, though it is hard to reach he is not upset or disappointed, in opposite very excited when he reaches next milestone. It is 10, 1000, 10,000 bounces, it is fun to play. It is probably not a good idea to bounce a ball on hardwood or carpet at home, but on other hard surfaces it works fine, even walls. To share your bounces on-line, you need to do it via built in the ball cord to reconnect to the device where you set Master A Million app. We expected the app to track bounces in real-time mode, but does not. You need to share your bounces by connecting to your toy. To get more bounces Teddy suggested to use a staircase, the longer stairs is better, that way we get more bounces and from that two people can play with the ball, on top throwing it and at the bottom catching it. Let's count how many steps the ball goes through. He was thinking to let it go down staircase in Pisa Tower or Spanish Stairs in Rome. Overall, Master A Million is simple and fun idea to play during summer time. I like that our kids not much obsessed getting to a million bounces but rather playing with the ball and watching the numbers keep going up. Available for $16.50CAD on Amazon.ca, Walmart, ToysRUs and other major toy retailers across North America. This is a great way to get the kids outside!